Join us as we head for a 4 day workshop in Jodhpur for the most epic holi adventure, colors and beautiful backdrops. The Holi Master Class will be limited to an intimate class of max 10 passionate individuals who want to polish their skills and break out of their comfort zones. We’ll talk about street, documentary and travel photography. This workshop is designed to help improve your photography, enhance your style and find your vision by providing expert advice and knowledge specifically aimed at helping you achieve success in your work. Participants will work on forming a photo essay in the 4 days. 4. Photography assignments to put theories to work while walking with the mentors on the streets of Jodhpur. The mentors Vineet and Rohit Vohra will work with students both in critique sessions and in the field, sharing their working knowledge and techniques. We will head out everyday, and have shooting as well as critique sessions everyday. • Your laptop for taking notes and reviewing images. you shoot in the sessions. • A power supply or back up battery for your laptop. • a thumb drive, jump drive or flash stick to move images. • Camera and Lens or Lenses as preferred. • Fully charged batteries/ extra batteries please, you will need them for your camera- Please DO NOT FORGET this…. We will be shooting long hours. • At least 2 formatted (empty) memory cards. Since we will be shooting around color and water, remember to copy your files everyday. There are no pre-requisites for attending this workshop. The workshop will be best suited for photographers who have some understanding of how to operate their camera, edit their photos, have some experience in photography and want to take their skills to the next level. However, inexperienced photographers are also welcome. – A digital camera with a fixed wide angle lens preferably (a 35mm focal length lens would be best). You are most welcome to get your Long telephoto lenses and zooms for your personal work. Charges are for all inclusive package. If you want any assistance you can email Mehar at contact@artphotofeature.com. This option includes workshop charges only. Does not include stay, food, daily travel expense etc. If you want any assistance you can email Mehar at contact@artphotofeature.com. After registering we will send you an email regarding the deposit and payment options. To secure a spot in the workshop you must send the full deposit. Rohit Vohra is a street/ travel photographer, educator and Co-founder/ Editor in Chief of APF Magazine. He is a Leica Leica Academie Mentor. In a search for methods to read the city, his photographs are often about contact with humans and basic living elements. He received his BFA from College of Arts, Delhi in the year 1997 and has been photographing for over 12 years. URBAN Photo Awards 2018: submissions open! 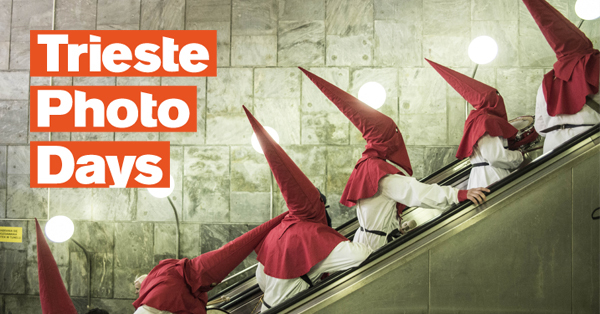 Submissions are open to URBAN Photo Awards’ ninth edition, international contest organized by Italian cultural association dotART together with media partner Photographers.it and Sprea Photography. 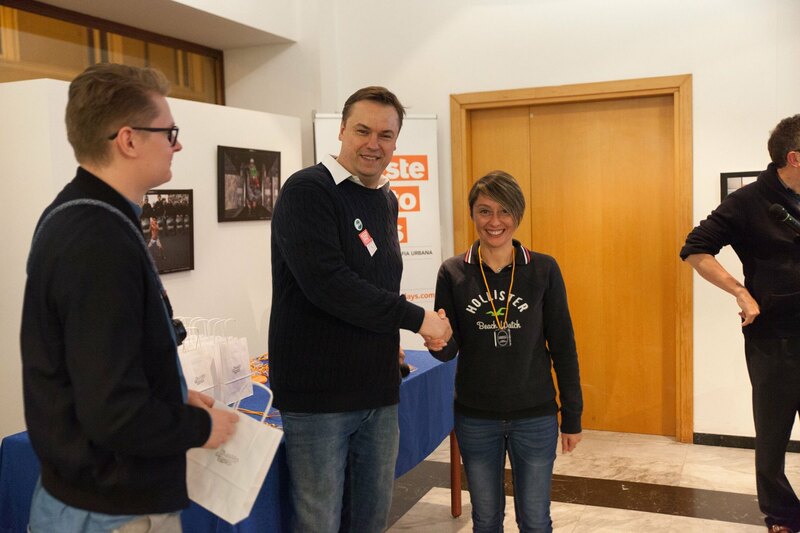 The total value prize pool is of € 5,000: € 1,000 for the Winner Overall, € 1,000 for the winning portfolio, one exhibition in Poreč Museum (Croatia) for 3 ranked projects in the “Projects & Portfolios” section, one collective winners’ exhibition in Trieste Photo Days 2018 festival, several prizes offered by contest’s partners, publication on international photo magazines and on URBAN unveils the City and its secrets fourth edition. URBAN 2018 is divided into two sections dedicated to Urban Photography, a theme that explores the contemporary through all forms of photography based in the urban fabric. The common denominator is the City, the urban environment and humanity that populates it. The first section is “Themed Photos” (7 thematic areas for single pictures: Street Photography, Architecture & Urban Geometries, Transport, Urban Art, People, Urban Animals, Creative Photography), the second is “Projects & Portfolios” where each participant can submit a series of images oriented to show his idea through photographs (projects, portfolios, photo-reportage, etc). Photographers can upload photos and projects on the upload form (please read the rules before uploading). Works must be submitted no later than May 31st, 2018 and will be selected by a prestigious Jury chaired by Tatsuo Suzuki, multi-award-winning Japanese street photographer with several international exhibits to his credit. As Jury President, Tatsuo Suzuki will choose and award URBAN 2018 Winner on October 27th 2018 during Trieste Photo Days, international photography festival organized by dotART. The festival, now in its fifth edition, has in URBAN his main “cultural container” and will host the awards ceremony, the final exhibition of the contest and a series of exhibitions, personal and collective, of the best photos and classified projects. Among confirmed jurors: Elena Uljančić-Veki (director of Poreč Museum, Croatia), Japanese photographer Tadashi Onishi (winner of TPD book Award 2017 and confirmed guest a Trieste Photo Days 2018), Angelo Cucchetto (founder of Photographers.it and Trieste Photo Days art director), Ania Klosek (one of the top influential female street photographers in Poland) and Fulvio Merlak (Italian photographer and critic). More jurors will be announced shortly. Other than regular prizes, URBAN gives the chance to the best ranked photographers to enter its tour of travelling photo exhibitions, the real and tangible value of this contest. Since 2011 URBAN has setup exhibitions in Poland (Krakow, Łódź and Warsaw), Hungary (Budapest, Pécs and Miskolc), Germany (Berlin), Serbia (Beograd), Cyprus (Limassol, Paphos and Nicosia), Latvia (Riga), Croatia (Poreč), Slovenia (Koper), Ukraine (Sumy), Colombia (Bucaramanga) and Italy (Trieste and Rome). Info, rules and submissions: www.urbanphotoawards.com. Call for entries of your International Contest URBAN Photo Awards 2017 has started, what are the numbers of past editions? URBAN sees every year thousand of participating pictures and hundreds of photographers from all over the world. It is an always growing international contest, one of the very few that goes “over the boundaries” of Internet offering to photographers real visibility through dozens of international photo exhibitions. Only in 2016 URBAN saw more then 3.500 pictures uploaded, by more then 900 participants, focalized mostly in Europe, USA and Eastern Countries (India especially), and realized 32 exhibitions displaying about 700 pictures. The Total price value was more then 5.000 €. Behind it all, there is always the pursue of enhancement of photographic talent and quality. What is the subject of the Contest this year? URBAN 2017 is dedicated to Urban Photography. The aim is to explore the contemporary through all forms of photography based in the urban fabric. The star of the show: the City. Daily life in the city and in small villages, artistic views, architectural geometries, the fragments of colour that break the city greyness. The thematic areas are seven: Street Photography, the many aspects of the urban fabric and the lives that inhabit it; Architecture, buildings, streets, urban geometries; Social City, places, events and gatherings in the City; Urban Art, the relationship between people and art in the City; Transport, different style of mobility in the city; Green Life, green areas, places, projects and sustainable lives and the last one Visions, that is a new area thought as a laboratory of artistic and experimental photos outside previous thematic areas (the main theme is always Urban Life). In this case the post-production is allowed. Moreover there is a section for portfolios and projects, where each participant can submit a series of images oriented to show his or her idea through photographs. Call for entries of your International Contest URBAN Photo Awards 2017 has started, what are the numbers of past editions? URBAN looks for talent and quality both among professional and amateur photographers, offering them an international stage from which to get noticed. Are there any fees to pay for participation? For THEMED PHOTOS the participation costs € 10 as entry fee for the first picture; further photos may be entered at a cost of € 5 per photo. For STORIES & PORTFOLIOS, the participation costs € 10 as entry fee for portfolio, regardless of the number of photos that make up the portfolio (min 3 photos, no more than 12). Each participant can submit a maximum of 5 portfolios. The presented works will be selected by dotART and judged in a final manner by a prestigious international Jury. Finalists will be published on the website in alphabetical order, without ranking at the end of July 2017. The absolute winner of Urban 2017 will be personally chosen by Jury President Maurizio Galimberti and he will be awarded personally by him during the award ceremony during the International Photo Festival Trieste Photo Days at the end of October in Trieste, (IT). Final ranking will be published on URBAN website and Facebook page. What are the prizes and what is the total amount? First prize for the contest winner will be of 1.000 € plus accommodation in Trieste for the winner. The other prizes will be 24 along with 16 Honourable Mentions for a total prize of more then 4.000 €, and the chance to be chosen for Urban 2017 Summer Exhibitions around Europe. Why to apply? Why to partecipate? What is the visibility of winning photographs? 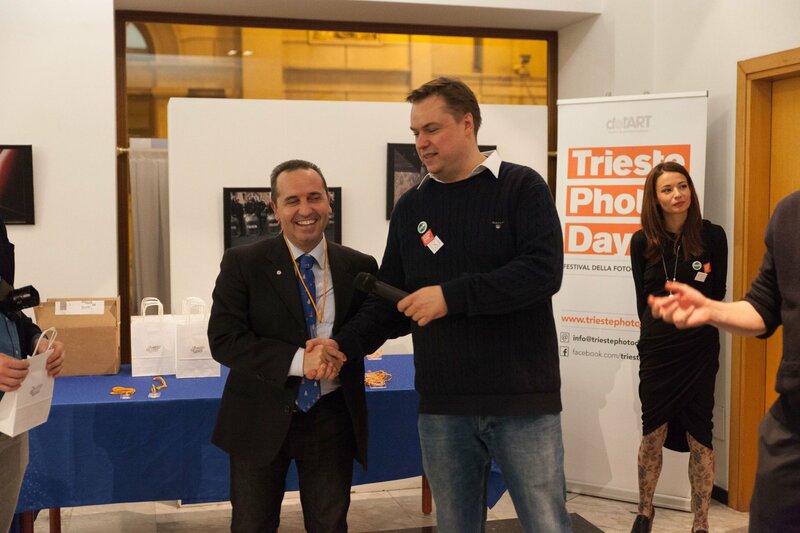 The highest placing works will be published on the competition’s website and will be displayed in a collective exhibit on October/November 2017 in Trieste during Trieste Photo Days 2017.festival together with publication of the winners on our media partners world wide Magazines. Some of the submitted photos may in addition be selected for exhibits in Italy and abroad. Even if it is too soon, how will you manage the Winner’s Exhibition and the Awards Ceremony? How do you live along with in the city of Trieste? What is the cooperation until now by the City Hall? Hopefully this year we will have a good support from the City Hall and Government Region, with nice and important locations for personal exhibition. It seems that they finally understood the potential of this initiative. Italy has an important historical tradition about photography, what is happening now? 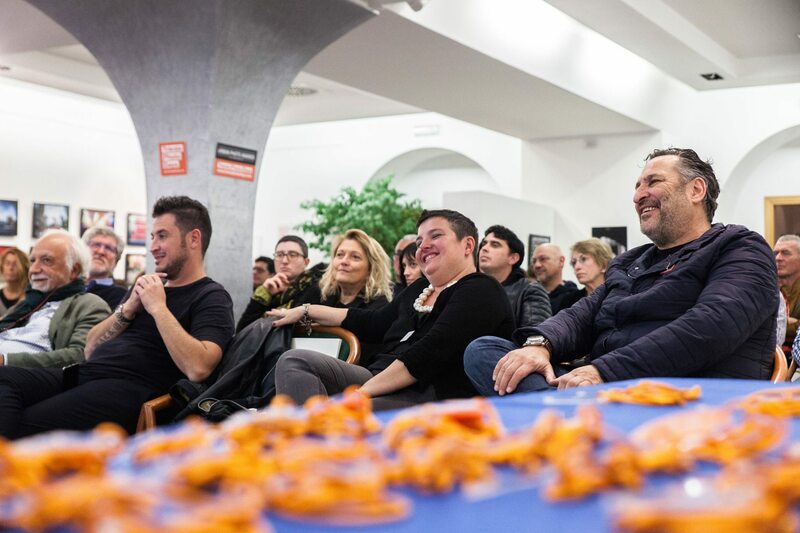 A lot of local initiatives, done with a lot of passion, low budgets, often missing a central coordination; as usual in Italy, government policies are not oriented to professionals but to friends and political issues. 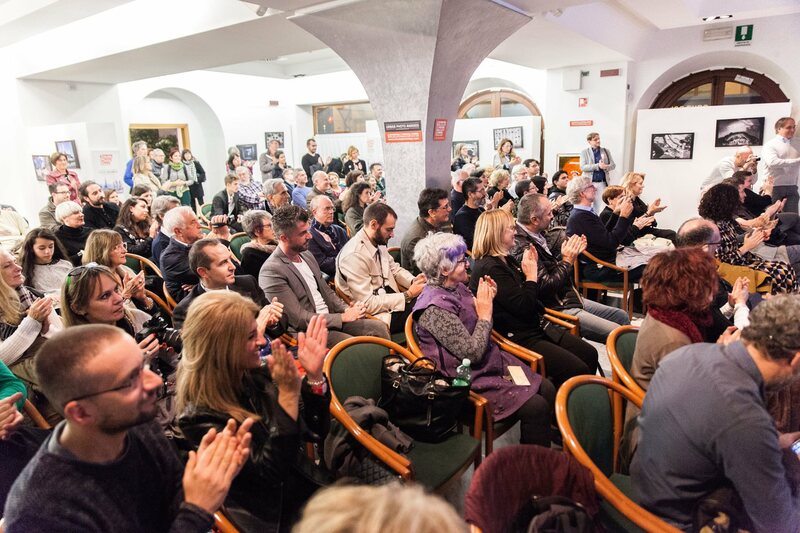 About the Italian photography history that has to be written, what URBAN Photo Awards represents? 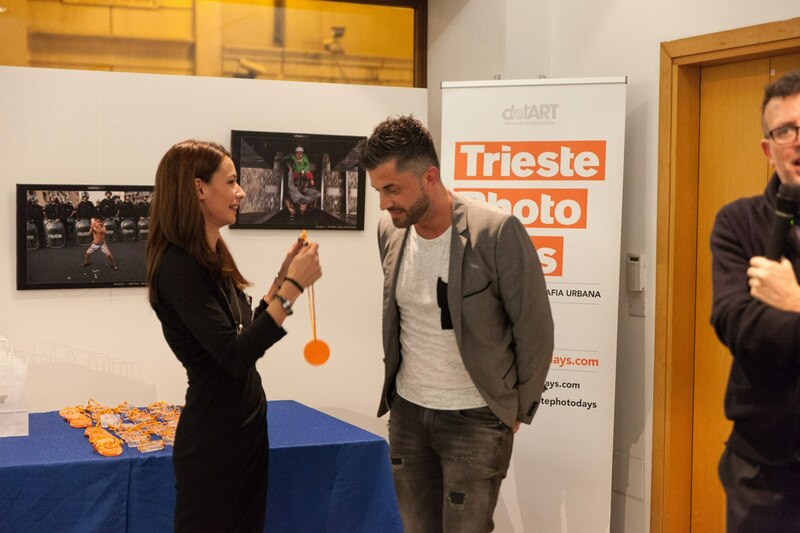 A very good chance for Photography, as it is Trieste Photo Days: an international contest and a festival focused on Urban Photography. Today, most of the people in the world live in a urbanized area and there billions of pictures are shot every year. Among your many initiatives, I have become curious about “Foodgraphy”. Considering the international success of TV program MasterChef and the Italian undeniably popolar cuisin, you chose a perfect country and a perfect timing for promoting this kind of photography, both traditional and experimental… what exactly is Foodgraphy? Foodgraphia is an Exhibion of Food Art & Photography. It comes from my last project www.shootfood.it, launched in September 2016, an authorial project about food photography. I started it because food in Italy is very important. In the last years we saw the explosion of cooking, food blogging, food story telling, etc. but the quality of the visuals often is not at the level of the food and it misses artistic values, so I thought it was about time for an authorial food photography project. Are you expecting to organize again another edition next year? Foodgraphia Exibithion went really well, we had a good public success, a lot of visitors, a good press diffusion. A very nice book produced, also published in digital version at https://issuu.com/shootfood/docs/foodgraphia. I understood Foodgraphia answers to a demand, and we see will go for a second edition in 2018. By the way, in May 2017 there will be Milano Food Week, an important festival about food and Ho.Re.Ca. world, sponsored this year by the City Hall, the Regional Government and other Government Institutions. As Shootfood we are organizing with them two dedicated projects about Food Photography. But this is a gossip J ! What is happening to still life photography right now? Professionally not a great period, but I see a good potential in B2C cultural activities. How can our readers be updated about your next projects? On our websites: Urban Photo Awards 2017 (www.urbanphotoawards.com), Shootfood (www.shootfood.it), on my historical web portal Photographers.it (www.photographers.it) and, of course, Facebook! We’re counting down the days till the launch of the 12th Angkor Photo Festival & Workshops! The festival gets underway on December 3rd, and we’re so excited about this year’s programme and our fantastic new projections venue. While continuing our commitment to nurture and promote the region’s emerging talents, our programme has something for everyone in Siem Reap. The annual event is divided into three main components – Angkor Photo Workshops; Anjali Photo Workshops; and the main festival, which is open to the wider community. Let’s break it down for you so you can start planning for it. This year’s festival programme is jam-packed with a range of events for photographers, art-lovers and the general public. Running from December 3 to 10, the festival includes exhibitions, activities, discussions and projection evenings – all of which are free and open to the public. Come and join us! We’ve got a brand new venue for our daily projection evenings, thanks to Amansara Resort. The new space is situated between the Royal Riverside Gardens and Amansara Resort, reachable via Charles de Gaulle. Locals will know the space well – this is where the fire trucks are usually parked! We are incredibly grateful for this generous offer and the potential the space provides us. All our festival’s projections and many evening activities will happen here. We’ve got six amazing exhibitions for you to enjoy this year. They’ll be held at different venues, so make sure you get along to all of them to check out these talented international photographers. They include a show from Magnum photographer Eli Reed and a retrospective exhibition from Japan’s late Shoji Ueda. Stay tuned for the full exhibition programme. Returning for the third year, ‘The Impact Project’ is a special night dedicated to showcasing individuals, groups or small organisations making a positive impact on social or environmental issues from around the world. It is part of our projection programme, and will be shown on on December 5th. Starting from December 4th, a line-up of international experts will offer free portfolio reviews for all attending photographers. A crucial way to receive professional feedback from industry leaders and seasoned photographers, the reviews begin at 10.30am and sign ups are on a first-come-first-served basis. Registration opens at 10am so come along with your portfolio to The Brothers at King’s Road Angkor. Our afternoon sessions feature a variety of interesting talks, discussions and photobook presentations and are open to anyone interested. A big thank you to The Brothers, Kings Road Angkor for hosting them! The professional workshops are a key component of the Angkor Photo Festival. Thirty photographers from all across Asia, who went through a stringent selection process, will take part in these exclusive workshops. They will each work on an individual project under the guidance of our six international volunteer tutors. Our emphasis is on education and these workshops provide valuable training and career advice. We are looking forward to seeing the works they produce during this year’s festival. A huge shout-out to Footprints Café on Street 26 for hosting the 2016 Angkor Photo Workshops! Every year we get a glimpse of Siem Reap through the eyes of children. This unique perspective is thanks to the Anjali Photo Workshops, initiated in 2005 by Magnum photographer, Antoine d’Agata. For 10 days, the children of Anjali House will photograph their friends and family, their homes, their surroundings and anything that captures their interest. Children’s Day will happen again on December 7: come and take a look at their pictures! We’ve still got a few weeks to go, so we’ll keep you posted with a full schedule of events with all the dates and times to help you plan ahead. We look forward to seeing you here! 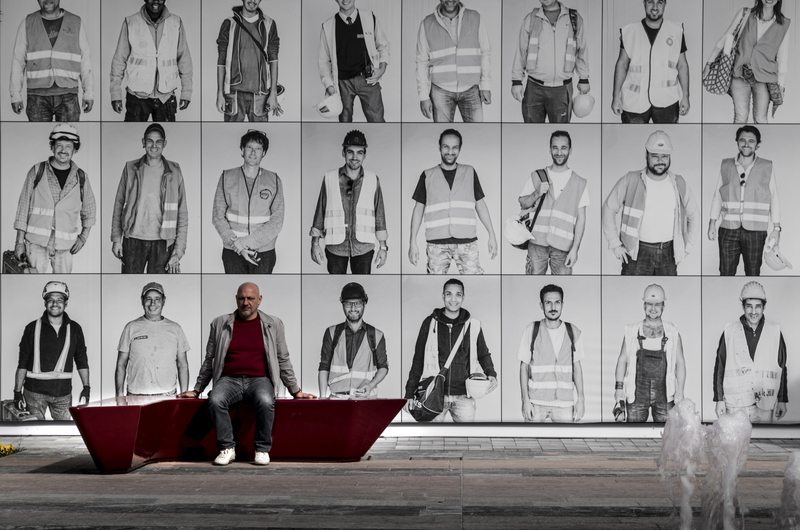 The Brussels Street Photography Festival (BSPF) highlights Brussels as a major World cultural hub. The first European festival fully dedicated to Street Photography connecting people from all over the world in the city of Brussels. What: Brussels Street Photography Festival (BSPF). A festival with photo contests, workshops, exhibitions, lectures, photo walks and more. When: 28-29-30 October 2016 (festival). Friday, 28 October 2016 – Friday, 11 November 2016 (exhibition). Where: Galerie Ravenstein, Hotel Bloom!, BELvue Museum and several locations in Brussels. The Brussels Street Photography Festival (BSPF) is a cultural project whose objective is to promote street photography as an urban research tool, a form of cultural communication and a visual art. Inspired by Brussels’ urban landscape, the main ambition is to provide an international platform that looks at Brussels through the fresh eyes of its citizens and engaged photographers. 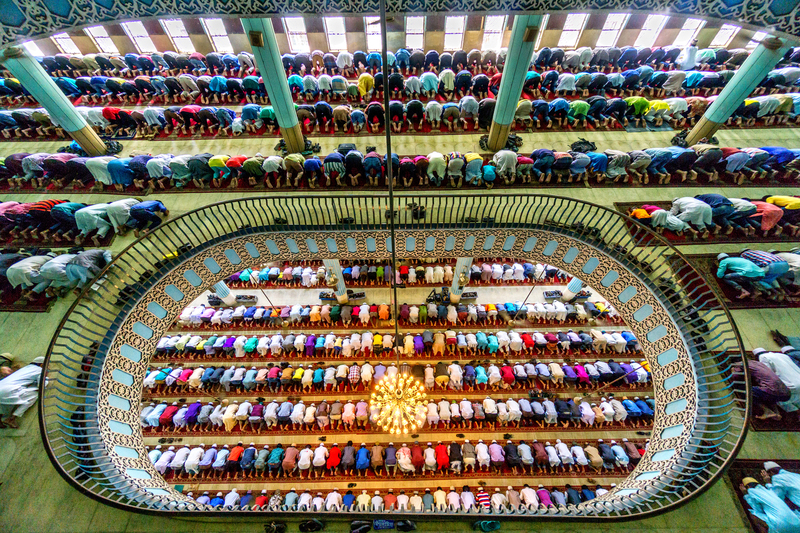 The program is organized around two photography contests where the best images submitted will be displayed on an open exhibition in Brussels. The exhibition will be followed by cultural activities that include lectures, workshops, roundtables, photo walks and portfolio reviews – bringing together knowledgeable photographers and photography enthusiasts. The opening of the exhibition will take place at Galerie Ravenstein on Friday, October 28 2016 at 6pm. Entrance is for free. The exhibition will be open daily until Friday, November 11 2016. The BSPF is having four different street photography contests: the International Singles, the International Series, the Brussels Singles and the Brussels Series. The main exhibition of the BSPF will display finalists selected from all of the photo competitions. Winners will be announced during the award ceremony, on Saturday, October 29, 2016 in Hotel Bloom! in Brussels. Two winners for each category will be selected for a total of €4.500 in cash prizes. The BSPF is honored to have experienced photographers holding several workshops. The workshops include: 5day Magnum Workshops by Belgian Magnum Photographers Harry Gruyaert and Bieke Depoorter. Wednesday, 26 October 2016 – Sunday, 30 October 2016. The Art of Storytelling, workshop by APF Magazine founders Vineet Vohra and Rohit Vohra. Friday, 28 October 2016 – Sunday, 30 October 2016. Street Photography Workshop by iNPUBLiC member David Gibson. Monday, October 31 2016 – Wednesday, 2 November 2016. Paul Russell (iNPUBLiC), Tomasz Lazar (Fujifilm), Otto Snoek, Jens Olof Lasthein, Gaël Turine (Agence Vu), Cedric Gerbehaye (Agence Vu), Satoru Toma, Philippe Hebert, Dani Oshi (WorldSP.co), Jakub Jasionek (WorldSP.co), Chris Suspect (STRATA collective and WorldSP.co), Vineet Vohra (APF Magazine), Rohit Vohra (APF Magazine), Kristin Van den Eede (APF Magazine), Kristof Vande Velde (APF Magazine) and Diego Luna Quintanilla (Brussels Newsroom). platform that seeks to identify and disseminate the fundamental elements that shape Brussels’ daily life life; and the people of WorldSP.co, the popular tumblr based street photography site that has promoted and connected a wide range of street photographers from around the world, featuring monthly interviews, organizing theme weeks / months and carefully curating and regularly promoting the finest content on tumblr related to street photography. Our team of enthusiastic supporters who have trusted the BSPF and have a will to improve the image of Brussels include: Brussels Newsroom, WorldSP.co, Ville de Bruxelles, Visit Brussels, Magnum Photos, Hotel Bloom!, BELvue Museum, Forty41, Galerie Ravenstein, APF Magazine, StreetFoto Festival and VSLO Festival.